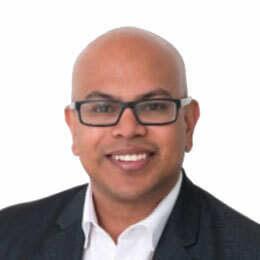 Dr Sushen Naidoo is an Obstetrician and Gynaecologist, providing pregnancy care and gynaecology services at Frances Perry House, St Vincent’s Private and Epworth Freemasons. Dr Naidoo also has public appointments at the Royal Women’s Hospital, the Northern Hospital and is available for consultations at Chelsea House, North Melbourne, Fertile Ground Health Group, East Melbourne, and Complete Children’s Health, Keilor. Sushen genuinely believes it is a privilege to be involved in a family’s pregnancy and birth. He values his time with his patients and his strength in communication and temperament ensure meaningful, informative and reassuring consultations. It is his aim and pleasure to see anxious and stressed couples leave a consultation feeling more confident. Sushen aims to foster long-lasting relationships and hopes to be involved in the care of families long after meeting their babies. His passion is for women centred and individualised care as he doesn’t believe in a cookie-cutter approach to medicine or indeed birth. Recognising that every woman’s pregnancy journey is different, he offers an open-minded and non-judgemental approach where a patient’s informed choice is paramount. Sushen encourages normal physiological vaginal birth and can offer support for vaginal birth after caesarean (VBAC) and for twin pregnancies. He also offers a full range of Gynaecology services including colposcopy, infertility and endoscopic surgery and laparoscopic hysterectomy. He is also interested in Holistic Care and collaboration with Complimentary Medicine for Fertility, Pregnancy and Gynaecology.